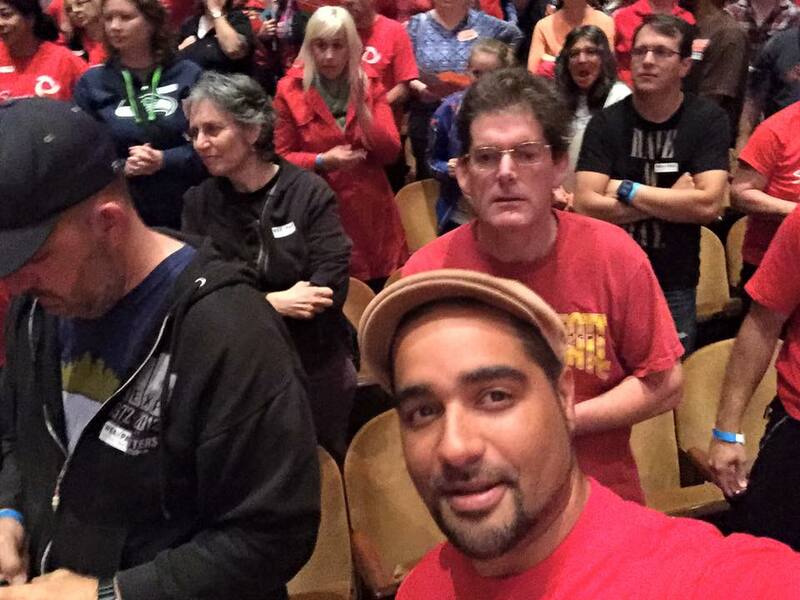 On Thursday, September 3rd, I joined thousands of Seattle educators in a packed downtown concert hall for a general membership meeting to decide whether or not to go on strike. After all the updates and debate, the meeting chair called for a voice vote on the matter at hand. An awesome cry of “aye” reverberated throughout the hall. Yet that thunderous roar of rejection for disrespect, the testocracy, and corporate education reform was belittled by the breathtaking silence that followed when the “no” vote was called for. In that blissful moment of peace, not a single educator in Seattle made a sound—and then pandemonium. An incredible jubilation resounded through the hall as it sunk in that we had just voted unanimously to strike for the schools that our students deserve. It didn’t have to come to this, but the Seattle School District waited until the last days of summer to respond to any of the proposals put forward by educators, or to put forward any serious proposals of their own. When the district finally responded to the union, they rejected every one of the union’s innovative initiatives, and only offered teachers the opportunity to work 30 minuets a day for no extra pay. The issues that we’re taking up are much more than pay. Teachers and educational support staff deserve a living wage in a city where the costs are skyrocketing, where teachers can no longer afford to live in the city where they teach. So we’re definitely fighting for fair compensation. [However] We’re fighting for an incredible list of educational reforms that will truly improve the lives of children in Seattle…I’m really proud of the work that my social justice educator colleagues have done over the years to help move the union in a direction that takes up the political demands that will help us achieve the contract that will improve public education. Teacher Jesse Hagopian says Seattle educators will walk the picket lines beginning Wednesday, September 9 if their demands are not met. Jesse Hagopian is an inspiration and in my opinion, we need many more like him! Yes! Education is much more and wider that the limited amount of information that teachers pass on in school. Becoming aware of life problems and struggles for justice, like the teachers’ strike and closed classrooms are part of the education! Good luck. The eyes of the world will be watching.